The Cromwell Radio Group of Mattoon has been named the 2016 Special Olympics Illinois’ Outstanding Media of the Year Award. The Cromwell Radio Group will receive the award at a reception June 10 before the Special Olympics Illinois Summer Games Opening Ceremony at Illinois State University in Normal. Cromwell Radio Group includes 104.3 The Party, 92.1 The Axe and 101.3 WMCI and has been a supporter of Special Olympics Illinois for several years. 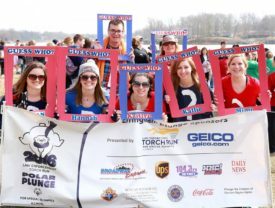 Within the past five years, the group has become a $3,000 Polar Plunge media sponsor and has a team of 104.3 DJs, staff and listeners come out to participate in the Plunge each year. This year, they raised almost $5,000 for Special Olympics Illinois. Cromwell Radio Group also provides support by offering radio interviews about upcoming local events. They have encouraged athletes to record public service announcements, and share weekly information about Special Olympics Illinois East Central Area 9 on 104.3 The Party’s website, Facebook and the community calendar. Cromwell Radio Group is also involved in LETR Lake Sara Dam Run, Area 9 Spring Games, Special Olympics Family Festival, Northern Area 9 Bocce Day, Cardinals Care day for Special Olympics athletes, and Taste of Something Special. It’s dedication and involvement with Special Olympics Illinois expresses why the group deserves the Outstanding Media of the Year Award. Special Olympics Illinois is a not-for-profit organization offering year-round training and completion in 19 sports for more than 22,000 athletes with intellectual disabilities and more than 20,000 Young Athletes ages 2-7 with and without intellectual disabilities. Special Olympics transforms the lives of people with intellectual disabilities, allowing them to realize their full potential in sports and in life. Special Olympics programs enhance physical fitness, motor skills, self-confidence, social skills, and encourage family and community support. 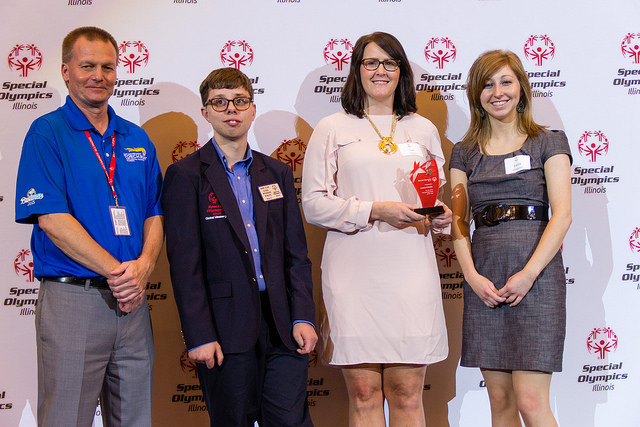 If you are interested in learning more about Special Olympics Illinois, volunteering or providing financial support to help make Special Olympics programs possible, contact your local Special Olympics agency, call 800-394-0562 or visit our website at www.soill.org.